If there has always been a consensus over the obligation of a Muslim woman’s headscarf (khimar) and outer garment (jilbaab), then where does the idea of rejecting the Islamic veil as a religious obligation come from among some Muslims? It seems to have two root causes for its existence. First, during the reign of Western imperialism in Muslim lands, they used to look down on the practice of veiling for Muslim women and thought it should be abolished (Campo 2009, 297). Second, some Muslims, who had developed a sort of inferiority complex towards the West, thought it would be wise to adopt Western ideals in order to achieve the same success as their colonial rulers (Ahmed 1992, 148). Thus, it was an imported idea brought in Muslim lands from the outside in the 19th and 20th centuries. During colonialism, in order to justify the practice of conquering other lands, they would dehumanize the inhabitants of those lands and would argue that their inferior practices demand control of their lands. Juan E. Campo, Associate Professor of Religious Studies at the University of California in Santa Barbara, writes, “Non-Muslim imperialists often used hijab as an example of the “inferiority” of nations they wished to conquer, claiming it was a discriminatory practice that should be abolished” (Campo 2009, 297). The colonial powers felt that such practices were one of the main reasons that Muslims were so backwards and that if only such customs “were cast off could Muslim societies begin to move forward on the path of civilization” (Ahmed 1992, 152). Thus, they began to view themselves as the liberators of these degraded women. Even Christian missionaries opined that “Muslim women needed to be rescued by their Christian sisters from the “ignorance and degradation” in which they existed, and converted to Christianity” (Ahmed 1992, 154). The colonials saw their own ways of life as superior to their conquered subjects. In their minds, the “Victorian womanhood and mores with respect to women, along with other aspects of society at the colonial center, were regarded as the ideal and measure of civilization” (Ahmed 1992, 151). Missionary school teachers would encourage their Muslim female students to defy their parents and abandon the veil. One of these missionaries “openly advocated targeting women” because they mold future generations (Ahmed 1992, 154). Since that time [and even before that during the crusades], the idea of Muslims, as a civilization, oppressing and degrading women have carried on until today even though it was originally developed to justify Western colonization and to eradicate cultures of the conquered in favor of the conqueror’s. Perhaps all this is what led to Turkey and Iran in early 20th century, as supporters of Westernization, to ban the hijab “as a symbolic way of demonstrating that their nations were modern and progressive” (Campo 2009, 297-98). This is because the Muslim political leaders of these nations “had accepted and internalized the Western discourse” (Ahmed 1992, 168). However, these “reforms” did not last very long especially for Iran. As Leila Ahmed, an Egyptian American writer on Islam and Islamic feminism, argues, “reforms pursued in a native idiom and not in terms of the appropriation of the ways of other cultures would have been more intelligible and persuasive” (Ahmed 1992, 168). 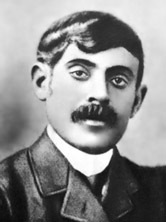 The very first documented Muslim that this author could find who openly rejected the Islamic veil as a religious obligation for Muslim women was the Egyptian French-educated lawyer Qasim Amin. He was not a religiously trained scholar but a Western educated judge. He is often considered the first Arab feminist (Boles & Hoeveler 2004, 38). In 1899, he published his highly controversial book Tahrir al-Mar’a (The Liberation of Women) in which he argued that “Islam did not require women to veil and that veiling and seclusion had kept women from enjoying the rights Islam granted them” (Shaarawi & Badran 2015, 15). He also advocated in the book education for girls and reform in polygamy and divorce laws. More than thirty books were written in response to his book criticizing his arguments (Shaarawi & Badran 2015, 15). This may be because he attacks in it many aspects of Egyptian life and culture, but his “demand that was most vehemently and widely denounced was his call for an end to segregation and veiling” (Ahmed 1992, 160). His praise in it is only for the Europeans. This work of his is widely regarded as the beginning of feminism in Arab culture (Ahmed 1992, 145). The question is where did Amin get this anti-veiling idea? There seem to be two factors which may have influenced his conclusion. Firstly, it is well accepted that Amin had a Eurocentric bias and supported the British occupation. Many of his arguments in his controversial book were the exact same used by European settlers and missionaries leading to a rumor at the time that he had written it due to the urging of Lord Cromer, British administrator and diplomat who ruled Egypt for 24 years as an agent and consul general (Ahmed 1992, 159). Perhaps after years of enduring colonial propaganda on the oppression of women in Islam especially with regards to veiling and segregation, he may have internalized these arguments and accepted them to be true due to his own inferiority complex. In fact, academic scholars today “criticize Amin’s Eurocentric bias in that he accepted the superiority of Western civilization and expressed contempt for Muslim society and Egyptian women in particular” (Boles & Hoeveler 2004, 38). Secondly, an Egyptian princess by the name of Nazli Fazl may have influenced his thinking as well. She also had a Western education, which she completed in Great Britain and France (Talhami 2013, 117). She is accredited with reviving the tradition of the literary salon in the Arab world. She hosted them from the 1880s until her death in 1913-14. She used to host them in her palace in Cairo. In these salons, the attendees “debated Egypt’s social and political crisis, as well as holding discussions on leading Arabic and European books of the day” (Talhami 2013, 117). 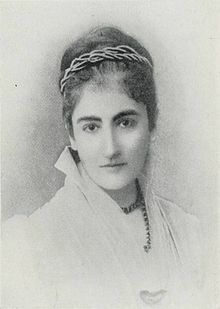 Her salons were attended by some of the leading personalities of her day, such as, Muhammad Abuh, Jamal al-Din Afghani, and of course Qasim Amin. However, these were not attended by Egyptian women, rather, it was just “statesmen, politicians, writers, journalists, and intellectuals, both Egyptian and European” (Shaarawi & Badran 2015, 143). It is said that “her input into these conversations influenced Amin’s seminal work, The Liberation of Women” (Talhami 2013, 117). It is highly likely that it was a combination of both of the above mentioned factors. Amin’s book and the controversy that followed it led to some women, who were frustrated with certain aspects of Egyptian society towards women, to hold their own salons. One of the first of these women were Eugénie Le Brun, who was a French convert married to an Egyptian landowner and future politician Hussein Rushdi Pasha. Le Brun had been conducting her salons even before Amin’s book but its publication “further stimulated their efforts” (Shaarawi & Badran 2015, 19). Moreover, her salon was open to regular Egyptian women in Cairo (Shaarawi & Badran 2015, 143). Having grown up abroad as a feminist, she carried the European understanding of the veil into her conversion. For example, she “earnestly inducted young Muslim women into the European understanding of the meaning of the veil and the need to cast it off as the essential first step in the struggle for female liberation” (Ahmed 1992, 154). “As a result of Westernization, women began to appear on the streets without a veil, and modernizing [Muslim] reformers tried with varying success to abolish the veil. The Islam revival, beginning in the 1970s led to the adoption of the ‘Islamic’ dress as a political statement in many parts of the Islamic world and even among Muslims in the West” (Adamec 2001, 115). In conclusion, the concept of rejection of the obligation of the Islamic veil for Muslim women was imported from the imperialists reigning over the Muslim world. Some of the Muslims in Egypt, who were influenced by Western education, achievements and lifestyles, began to accept criticisms against the veil from their European rulers. This eventually led to a debate over the issue within Muslim society, especially after Qasim Amin’s book. The result was that the idea of it not being a religious obligation became well accepted among certain crowds until today. The idea began in Egypt but eventually spread throughout the Muslim world. What is interesting to note is that many of the arguments used against the Islamic veil have not changed since the colonial times. This author has heard some of them verbatim from Muslim liberals and non-Muslims. Adamec, L.W., 2001. Historical Dictionary of Islam, Lanham Md. : Scarecrow Press. Ahmed, L., 1992. Women and Gender in Islam: Historical Roots of a Modern Debate, New Haven: Yale University Press. Boles, J.K. & Hoeveler, D.L., 2004. Historical Dictionary of Feminism 2. ed., Lanham Md. : Scarecrow Press. Campo, J.E., 2009. Encyclopedia of Islam. New York: Checkmark Book. Engel, K., 2012. 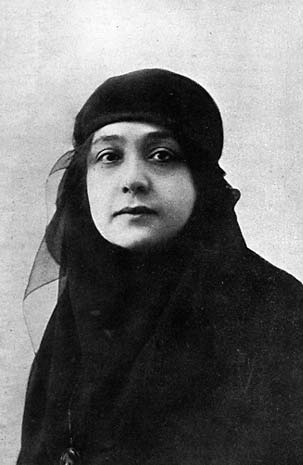 Huda Shaarawi, Egyptian feminist & activist. Amazing Women in History. Available at: http://www.amazingwomeninhistory.com/huda-shaarawi-egyptian-feminist/ [Accessed May 26, 2016]. Sha’arawi, H. & Badran, M., 2015. Harem Years the Memoirs of an Egyptian Feminist, 1879-1924, New York : The Feminist Press at CUNY. Talhami, G.H., 2013. Historical Dictionary of Women in the Middle East and North Africa, Lanham Md. : Scarecrow Press. Be the first to comment on "Origin of the Idea of Rejecting the Islamic Veil As a Religious Obligation"